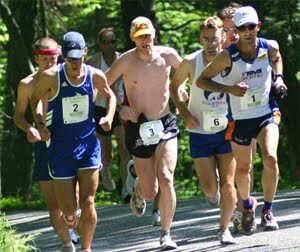 The Nahant 30K played host to race #6 in the USATF New England Road Race Championships under a foggy start. 3 runners score for distances of 30K and longer (the other historically – the marathon). Once the fog cleared, Central Mass Strider, Dan Vassallo of Peabody crushed his previous course record while taking the overall win with a time of 1:40:39. He was followed Patrick Rich (4th overall) and Scott Leslie (6th overall) to wrap up the scoring for the CMS open team. The team has won their second consecutive New England Grand Prix Championship in three weeks. CMS edged out Team Run and GBTC. The CMS masters team was led by Jason Porter of Bedford NH. He was the top master (40+) of the day. Joe Shairs and Martin Tighe rounded out scoring for the masters as they finished together. Martin was the top Senior (50+) of the day as well. The masters team placed 2nd behind the BAA and ahead of Whirlaway. The team will turn the focus to the last grand prix race of 2013 with the Manchester Marathon. Various running clubs from New England drove to Gloucester, MA to compete in the 5th race of the 2013 USATF New England Road Race Grand Prix Series. The Lone Gull 10K hosted this beautiful event from Good Harbor Beach which commenced with a hot breakfast under partly sunny skies in the high 60’s. 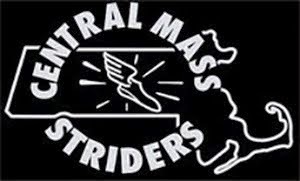 The Central Mass Strider men’s open and masters teams placed first overall in the series for the first time in 2013. The open team was led by the one-two punch of Nate Jenkins (North Andvoer, MA) and Dan Vassallo (Peabody, MA). 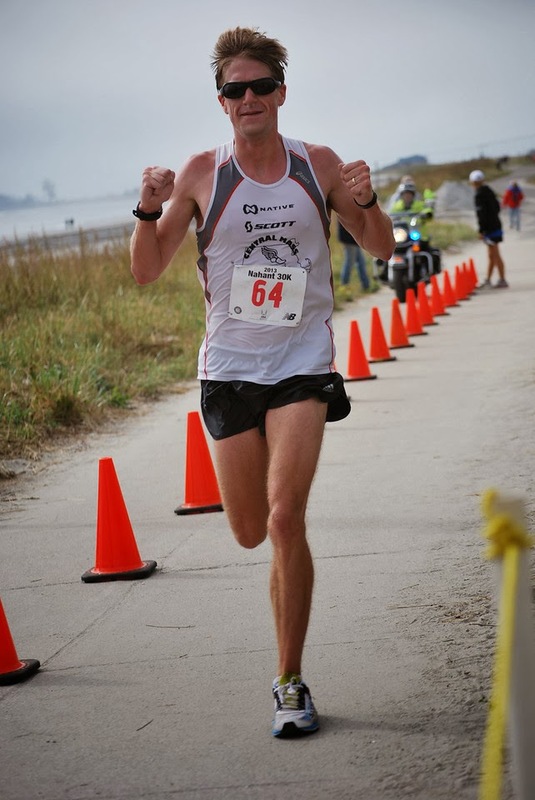 Nate (31:11) was fourth overall, just 21 seconds behind winner, Sean Duncan (WMDP), with a time of 31:11. Dan was 5th overall with a time of 31:29. 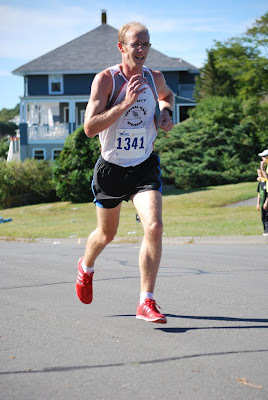 Scott Leslie (Rutland, MA) was the 3rd CMS runner, finishing 11th overall with a time of 32:07 (net time). Hamilton’s Patrick Rich was right behind Scott, finishing 14th overall, in a net time of 32:20. Forty three year old Greg Putnam (Stoneham, MA) rounded out the top five scoring for CMS with a net time of 32:58. This placed him 27th overall and 2nd 40+ which was just three seconds behind Binney Mitchell who was the first overall master for the day. Team Run and the BAA were 2nd and 3rd in the open team scoring. As for the masters, following Greg, was Jason Porter (Bedford, NH) who finished 49th overall (8th 40+) with a net time of 34:18. Joe Shairs (Peabody, MA) was the 9th 40+ finisher and his net time of 34:43 placed him 57th overall. Templeton’s Arthur Besse ran a personal best for the 10K distance. He was the 14th 40+ runner and his net time of 35:50 placed him 78th overall. Martin Tighe (Providence, RI) scored down into the masters team and rounded out the scoring. He was the 6th (50+) runner in the race while his net time of 35:58 placed him 80th overall. The CMS masters team was followed by BAA and WRT. The CMS men’s racing team had a diverse age group on the starting line, an open runner (-40) in Tim Mahoney, new CMS master (40+) Ethan Nedeau, and senior (50+) Dan Verrington. They ran through the 8K cross country course in Westfield with authority. The team did not factor into the scoring as five are needed to finish. 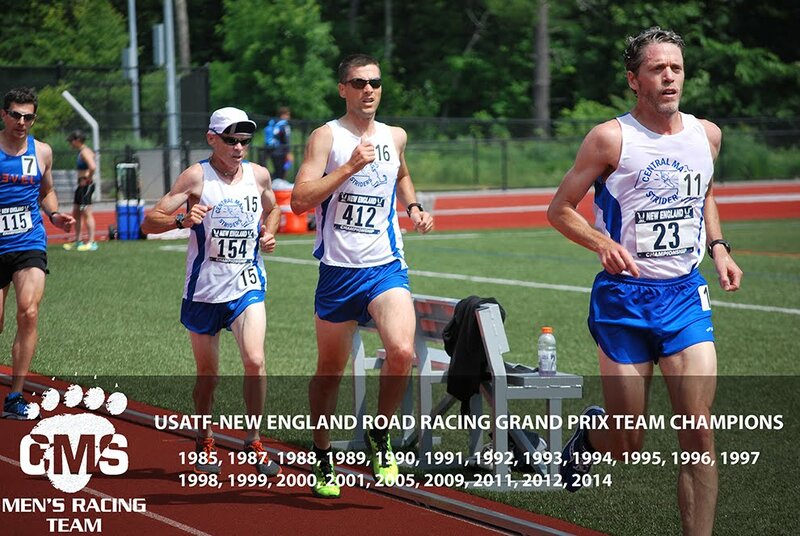 The team will hope to change that for the next USATF New England XC Grand Prix event in Wayland, MA on October 13.